Boost your site’s traffic effectively with our Pay Per Click Advertising:Traffic Generation Basic Package. 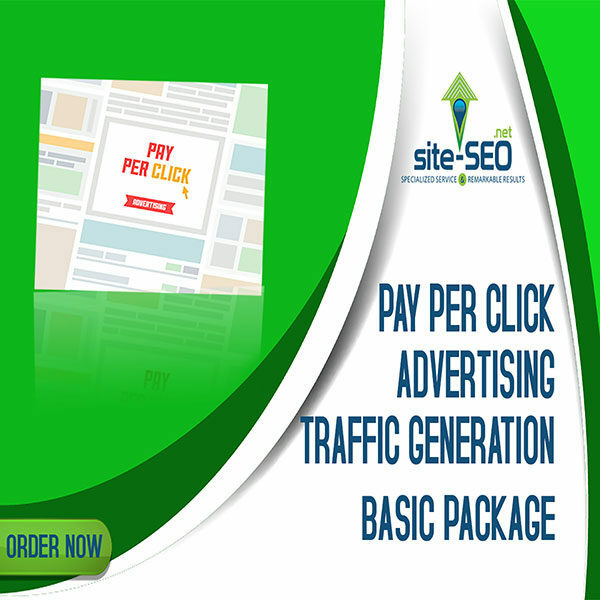 This PPC Advertising Traffic Generation Basic Package is the best fit for your business requirements as it is cost effective. You only pay when an online user “clicks” on the add. You get to have the short term results. It comes with a sophisticated targeting system that enables your business brand to show ads to the target audience based on demographics and your target niche. Pay Per Click gives you complete control over your budget. You choose how much you spend per month, per day, and per ad. There’s no minimum. We can also provide you with insights and data to show you how many people see your ads, what percentage of them click to visit your website, and even how many click to call you. With these tracking tools, you can even see the actual sales your website is generating as a direct result of your ads. For this Pay Per Click Adverting-Traffic Generation- Basic Package you can spend up to $999 in Google Ads (You will pay directly to Google Ads your monthly spending) and choose up to 30 keywords. This package include: Phase I-II-III (One Time Setup Fee) plus One Month Maintenance Fee-Phase IV-V.